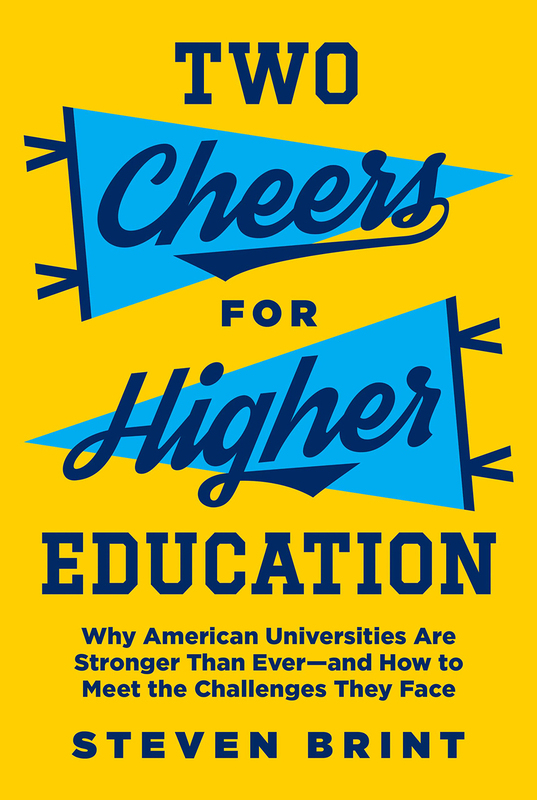 Two Cheers for Higher Education: Why American Universities Are Stronger Than Ever, by Steven G Brint, published by Princeton University Press. Is this US higher education’s Golden Age? Pessimism rears its head now and again. But American universities have never been stronger, says academic Steven Brint in his new book Two Cheers for Higher Education. 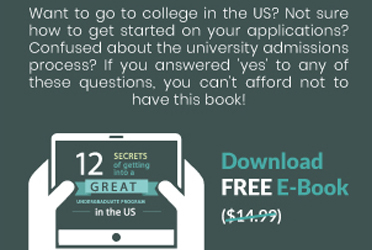 As soaring US college tuition scares off many families, the book is a timely reminder about why American colleges and universities are still the gold standard in higher education. The author acknowledges that for students who pay the full sicker price to earn a degree without the benefit of aid, earning back the sum takes time. But he says data indicates that a US college degree is still worth it. By delving into data, trends and stats, the book offers a distinctly positive take on developments in American higher education over the past thirty years. “Cost has increased, but college remains a very good investment. In 2015, economists at Georgetown University estimated that the average college graduate earned $1 million more than the average high-school graduate over the course of a working life,” writes Brint, who is the Distinguished Professor of Sociology and Public Policy at the University of California, Riverside. Brint’s book focuses on the years from 1980 to 2015 to show how American universities have channeled their effort into making valuable “market-driven partnerships,” especially with scientific and technological innovators outside the academy. It is a well documented fact that five of the world’s top 10 oil companies — ExxonMobil, Chevron, BP PLC, Royal Dutch Shell Group, and ConocoPhillips — have forged dozens of multi-year, multi-million-dollar alliances with top US universities and scientists to carry out energy-related research. Much of this funding by “Big Oil” is being used for research into new sources of alternative energy and renewable energy, mostly biofuels. Similarly, Silicon Valley tech giants have been pouring money into US research universities, sponsoring papers, research and publications on artificial intelligence, robotics, machine learning, self-driving cars and advanced technologies. At private universities, corporate donors and large endowments are part and parcel of day-to-day operations. It may be par for the course for technology companies to sponsor academic research but America companies go on a limb to support colleges. At Iowa State University, for example, donations from Dow, Syngenta, and Monsanto helped fund the athletics department. At the University of Michigan, a consortium of car makers, telecom companies, economic-development groups, and others have formed the Mobility Transformation Center, where they aim to build a smart grid of connected and automated vehicles. In a partnership with the University of Washington, Amazon launched Amazon Catalyst, which provides grant funding to any member of the university community, in any discipline, with an idea to tackle a pressing societal issue. Researchers are regularly invited to attend on-campus meet-and-greets with potential corporate funders to discuss possible sponsorship opportunities. Sadly, this intense level of corporate engagement is missing in higher education in any other country and geography in the world. “R&D expenditures have increased by 10 times since 1980 in inflation-adjusted dollars, publications in high-quality journals have increased by approximately four times and citations by a proportional amount,” writes Brint. The author adds that “few, if any, sectors were as important to the emerging knowledge economy as universities,” and the federal government supported their development with high funding. “The federal financial-aid system provided essential fuel for higher education’s expansion, doling out about $65 billion in Pell Grants, work-study funds, and tax benefits in 2015,” writes the author. Thanks to the generous funding, America’s high-quality universities have been a crucial driver of innovation and economic growth. “University researchers have been responsible for many of the country’s most important innovations — from the last generation’s laser and MRI to today’s gene editing and quantum computing,” says Brint. The US has seven of the top 10 spots in global university rankings, but in 2018 its overall number in the top 200 schools dropped to 60 from 72 in 2010, the first year of the Times Higher Education World University Rankings. Seven Chinese schools cracked the top 200, up from just two in 2014. The American university system, the largest in the world and a major source of revenue for US towns and cities, is still No 1 as a global magnet for top talent. The US has 24% of the global market, far ahead of the UK with 11%. “Beyond the din of the latest protests about sexual violence on campus or controversial speakers causing an uproar, some remarkably positive trends have left American universities bigger, stronger, and in a more influential position than ever before,” writes Brint.